The growth and expansion of internet has certainly revolutionized the way we communicate as well as work together. Internet has played a major role in shortening distances as well as in improving the way we do different things in our day to day life. So what’s next?? The next wave of internet is going to do something that was completely unexpected as well as impossible to believe few decades ago. The upcoming wave of internet i.e. IoT or Internet of Things is going to connect all machines as well as devices together so as to increase the speed of functioning, hence creating some of the most intelligent systems that the world have never seen before. These smart systems created with the help of IoT technology will be able to work together with unpredictable speed, consistency, capabilities as well as scalability. So far we have come to know that Internet of things will connect all living as well as non- living entities with each other over a common network but have you ever thought about its usefulness in our industries?? Yes, IoT technology will revolutionize the way our industries operate and this particular technology is given the name Industrial Internet of Things. What is Industrial Internet of Things (IIoT) ? Industrial Internet of Things refers to the careful integration of complex physical machinery with high- end software and networked sensors. When using IoT in the industrial sector, we are drawing together a variety of different fields, such as big data, machine learning, M2M (Machine to Machine communication and technology) as well as the Internet of Things. There also arises the need for cyber- physical systems in order to ingest the data from all machines, for analyzing this data in real- time as well as for using this interrogated data for adjusting operations. One of the crucial steps taken in the field of Industrial IoT is the founding of the IIC (Industrial Internet Consortium) by top- notch companies such as IBM, Intel, AT&T, Cisco as well as General Electric on 27 March, 2014. The foundation of IIC is a step towards the bright future of IoT technology taken by bringing together key industry players. These include big names from the multinational corporations to governments as well as academia. The collaboration of these industries and IoT will result in acceleration in the development, adoption as well as wide- spread usage of technologies and products conceived under the Industrial Internet of Things technology. Today, it has become unimaginable for all of us to discuss about technology as well as its inventions without mentioning Internet of Things (IoT). When we are simply talking about the reforms brought in by internet, it is generally termed as the IoT technology but when our focus shifts towards its impact on the industrial sector, we give it the name of IIOT i.e. Industrial Internet of Things. Some of these industries that can benefit from IIoT technology include Oil and Gas, Petrochemicals and Power and Utilities among others. Why is there so much hype about Industrial IoT? 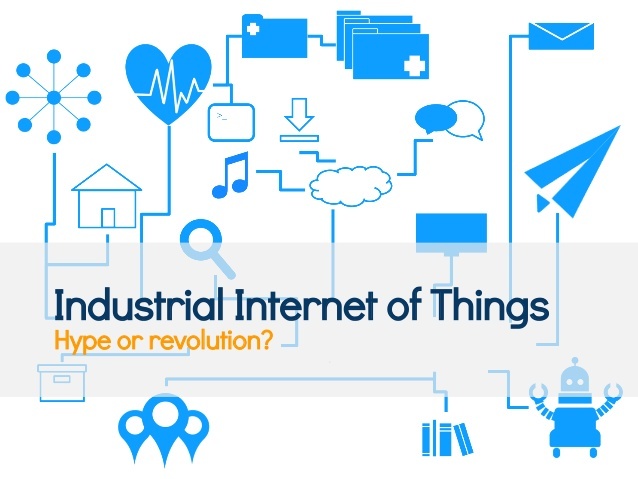 The idea of gaining access to cheap processing, massive bandwidth, Cloud- based applications, and unending storage, uninterrupted connectivity, etc are the driving forces behind the idea of the Industrial Internet of Things technology. All these aspects increase our information- gathering capabilities and bring a massive shift in the manner all the machines, software as well as services communicate with each other. As a result of these improved analytics, all business will get a chance to improve the efficiency of their business, disrupt old and useless models and above all, provide better services to their customers. What does experts say about Industrial IoT? Based on the pace at which the application and implementation of Industrial Internet of Things technology is taking place, it is estimated that there will be more than 26 billion devices, including both living and non- living entities, connected together with each other by the year 2020. This means that there will be more than 30 fold increase in the connectivity than we are capable of generating right now. 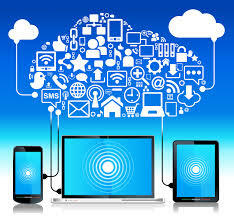 But what is the real purpose of having all these devices connected with each other under a common technology network cloud?? Is it right to form such massive connections only because we are capable of doing so?? One thing that can be said about the IIoT technology without any doubt is that it will be certainly a lot different as well as useful that the current uses of technology and internet that we boast about. Another difference that can be drawn between Iot as well as IIoT is that unlike IoT which is trying to conceive a better world by telling you when your washing machine needs service or even letting you control all the physical operations taking place at your workplace and household, the IIoT technology is looking forward to make the world a better and more convenient place to survive with the help of improved monitoring, safety as well as control over everything around us. In other words, we can say that the IIoT technology will reduce several kinds of risks and improve the reliability of the massive systems used in our industries. These massive industrial systems will also be able to process as well as generate a very large amount of data with the help of all the connected devices which will be working round the clock. With the help of the Industrial Internet of Things technology, the Aerospace industry will be able to create highly integrated, reliable as well as high- performance systems with the help of standard- based software and machines. Aerospace is one of the many industrial sectors which require the processing of information in real- time in order to ensure high performance. In the aerospace industry, there is the need for tactical communication systems which need to be reinstalled as well as configured within a given number of hours. Apart from this, command data has to be delivered with 100 percent accuracy in order to make sure that there is no breach in the operations taking place at different stages. In the field of defense as well, there is need for all latest information to be processed and disintegrated with 100 percent accuracy as well as in real- time. For this purpose, IIoT technology is very crucial as it assists the arrival and processing of command data with optimum accuracy. With the help of IoT, improvement in defense software capabilities can be improved and it also provides better control over warfare and other concerns related to flexible security. Controlling as well as integrating all kinds of medical services, devices and systems with each other is yet another example as well as application area of Industrial Internet of Things. With the help of the IIoT technology, advanced devices can be connected with each other and hence the cost of treatment and machine procurement will also get reduced to a considerable extent. Not only this, this will also result in improved health conditions for all the patients. An integrated and faster operating system of devices means that machines and medicines will together have faster effect on the patient’s health and body. These connected devices will also be safer around patients. The healthcare industry is fast seen adopting the initiatives of the Internet of Things technology in order to evolve standalone systems into distributed systems. With the help of IoT, they will be able to connect devices to improve patient outcomes as well as replace all complex dedicated wirings with safer and more reliable networks. Healthcare applications fall into three broad categories: connected medical devices, imaging and treatment machines, and surgical systems. Industrial Internet of Things (IIoT) offers the energy industry with next generation methods of making efficient use of their resources as well as has better knowledge about the right sites of energy procurement. IoT is a once in a lifetime opportunity to modernize the way our energy industries operate. These include the Oil and Gas industries as well. With fast and reliable data sharing enabled by IIoT technology, energy industries can improve power generation, distribution, optimization and usage. It also helps in framing out new power and energy- based business models. It is a known fact that energy systems come with critical infrastructures and there is need for some crucial parameters to be fulfilled for their proper functioning. These include high scalability, reliability, performance and last but not the least improved productivity. Many of these are also distributed over large areas, hence making the use of IIoT technology perfect for all energy systems. The application of IIoT technology in the field of transportation helps in creating highly reliable communication systems with tunable Quality of Service (QoS). Intelligent tracking systems as well as smart cars, all are the examples of the Industrial Internet of Things technology. With the help of real- time communication, all components of a car can be connected together to form an intelligent machine. The transportation industry is not new to the use of IoT as the GPS systems and tracking devices used in cars are all inspired by IoT. From invasive heart- surgery robotics to controlling planet- side robots/ satellites, the use of IIoT technology is prevalent in the robotics industry as well. IIoT finds use in the critical control systems that require random operations to be performed in real time without any kind of human intervention, that too with high reliability and performance. The applications and examples of IIoT do not end here and in coming times, we will see more of this eye- popping technology around us. You might like to Connect us! Why not Check out our Facebook, Twitter, Pinterest and Forum page? Who am I? Just a Tech Enthusiast who is very much passionate about Blogging, Hacking, Gaming, and off-course Surfing over the internet!